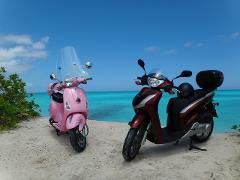 A scooter from Segs by the Sea is the perfect way to get around and explore all that the island has to offer. Segs by the Sea is the premier place to rent scooters, electric bikes and golf carts. The kiosk is open 9:00 am to 5:00 pm 7 days a week.